On Saturday my baby made the choice to be baptized and is now an official member of The Church of Jesus Christ of Latter-Day Saints. We could not be more proud of her, she is an amazing girl with a big heart who loves her Savior. 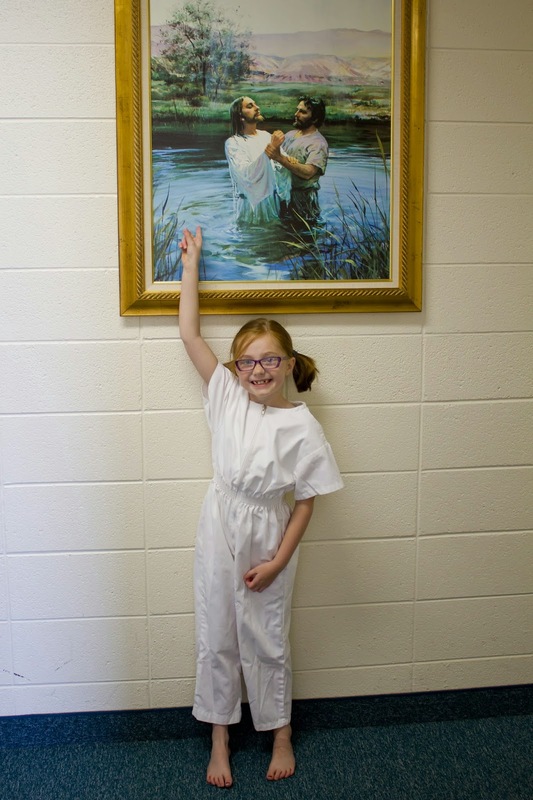 She took her decision to be baptized very seriously and was excited to follow Jesus's example. 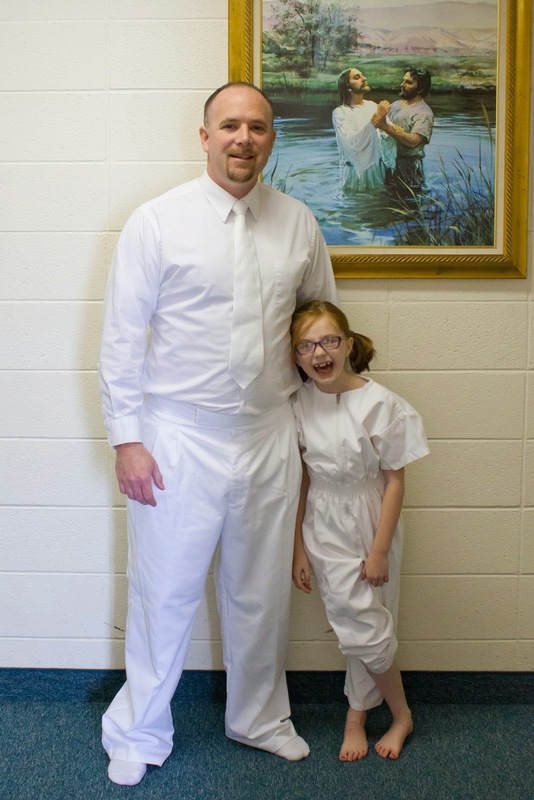 I don't know how we lucked out to have all 3 of our kids be the only ones from our ward who were baptized on their Saturday, but we did, and I am grateful we had those moments together as just our family. Both of Hannah's Grandmas gave talks, just like they did for Samantha and Hunter, we are so grateful they were willing to share their testimonies. Samantha also played "When I Am Baptized" on her guitar (video below), she has only been playing since August and I was grateful for how brave she was to play in front of everyone. She even held her composure when baby Sebastian came really close to check out what she was doing. I really am grateful the entire program was personal for Hannah and her special day. "I am convinced that a husband is never more attractive to his wife than when he is serving in his God-given roles as a worthy priesthood holder—most important in the home." 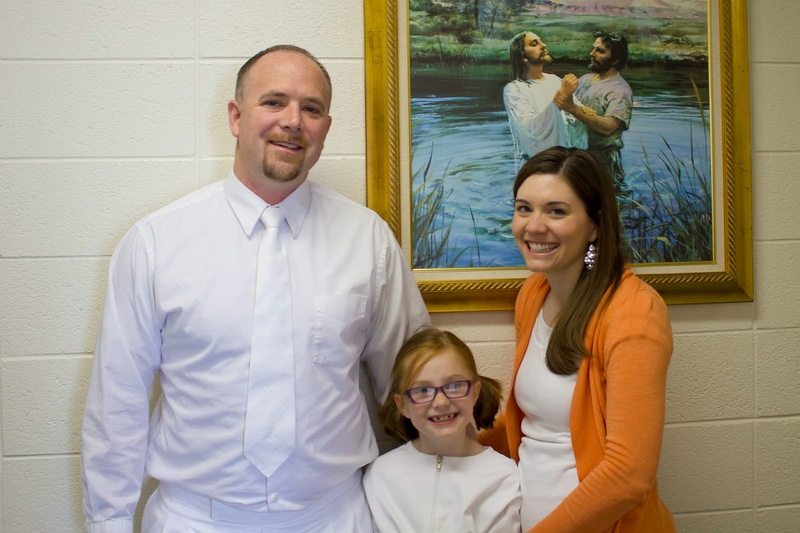 Rob is an amazing husband and father, and I happen to find him very attractive, especially when he has baptized and blessed our children. I am so grateful for all he does for our family, we are all very very lucky to have him. It was a beautiful day, one we will not forget! !